If you would like to organise a fund raiser for Alfe’s Cause in the first instance please email Karen at: alfescause@hotmail.co.uk. Get in touch if you are able to display one of our child cancer awareness posters where you work and/or the Be Child Cancer Awareness cards. Alfe’s Cause was set up in 2010 after Alfe went into remission from Non Hodgkin’s Lymphoma and wanted to help other children going through a similar situation to his own experience. 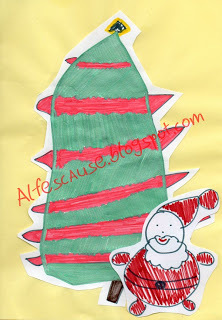 Originally Alfe designed Christmas cards and sold them to raise funds for the Northampton charities that had supported him during his illness and to buy gifts for children who would be spending Christmas on the children’s wards at Northampton General Hospital as he had done in 2009. After the success of selling the cards we decided to organise another event again to raise funds for the charities that had supported Alfe. In total we raised £1,500 which we shared between the charities. It was at this time, at the end of 2011, that we decided to become a community group in our own right to support families in Northamptonshire who were affected by childhood cancer and other rare long term illnesses. 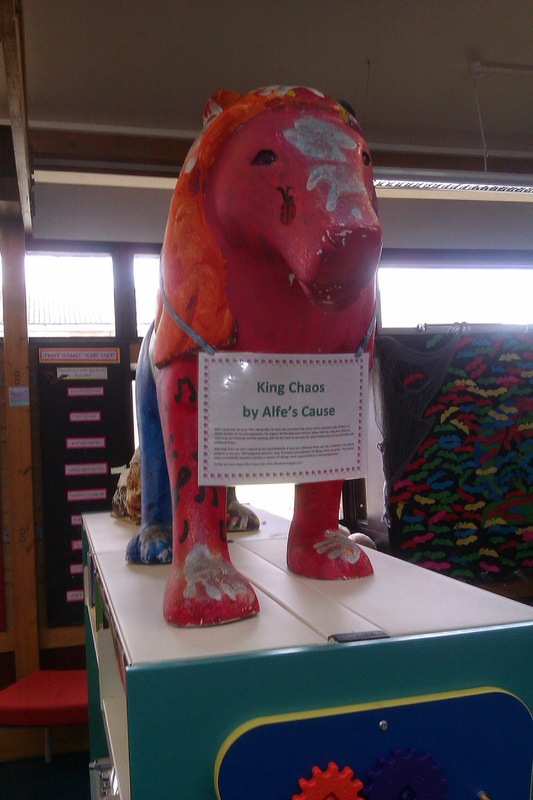 We named the project Alfe’s Cause – Celebrating Siblings and launched the group by taking part in Safari Northampton by painting a lion that was displayed in Northampton town centre and now takes pride of place in Duston library. Between 2012 and April 2014 we continued working as a community group supporting families by arranging and funding monthly meetings. We supplied play packs to the children’s wards of the hospital to offer distraction during treatment and to offer something for the visiting siblings to do. 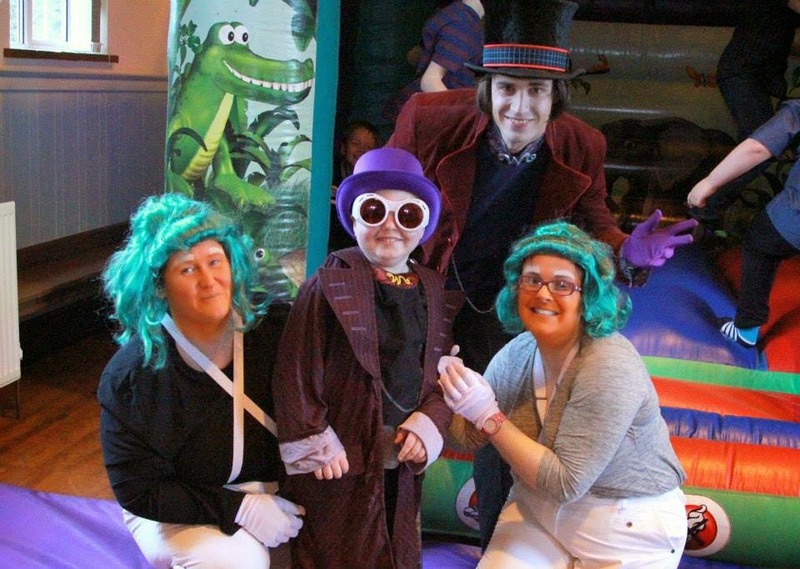 When funds allowed we also made donations to individual families such as buying a bed for a little boy who was coming home after a long time in hospital and buying theatre tickets for a mum and her daughter (whose brother had been ill) to have quality time together. Where possible we also try and help make wishes come true for children whose diagnosis is terminal. 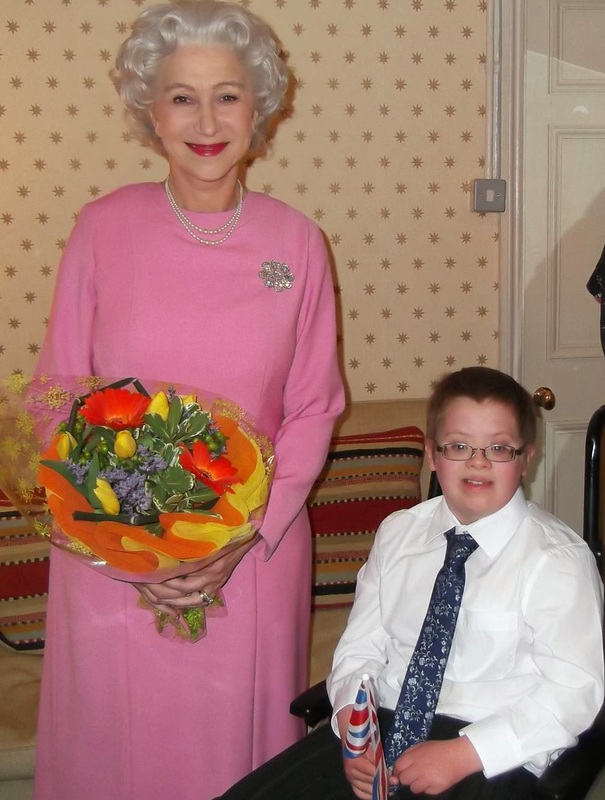 We were able to work in partnership with another local charity to help Ollie meet the Queen. Dame Helen Mirren was performing as the Queen in theatre at the time and after a few emails she entertained Sir Ollie and his family. In April we became a registered charity and now support 20 families living within Northamptonshire. 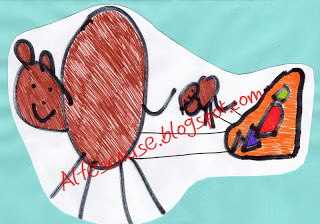 Parents have commented that Alfe’s Cause provides support because parents have the chance to talk to one another whilst the children play and build new friendships inclusively. We also raise awareness of childhood cancer signs and symptoms. In partnership with national charity Be Child Cancer Aware we are inviting all schools, early years settings, GP surgeries, children’s centres and libraries in the county to have access to the information cards compiled by Be Child Cancer Aware. Since starting the campaign we have sent out over 32,000 cards to primary schools in Northamptonshire.